"As you know, since the beginning of NoMoreFakeNews, I continue to launch attacks against non-scientific and dangerous assertions about the safety and efficacy of vaccines. "Mark was one of my early sources." Do we really want those dominant platforms telling us their exclusive version of the truth? This is the direction we are clearly heading. "YouTube said Friday it will stop recommending conspiracy videos such as those claiming the Earth is flat, or promoting alternative theories about the September 11, 2001 attacks. "While the former is a psyop — the Earth obviously isn’t flat and is a spheroid — the latter is the more worrying contention, since to this day there are still valid questions about 9/11. For information on 9/11 that doesn’t quite add up, you only need to watch two of James Corbett’s YouTube documentary films: 9/11 War Games and 9/11 Trillions: Follow The Money." All clinical trials of pharmaceutical products should be pre-registered, and the results should always be released. The prevalence of deliberate non-disclosure means that data which shows adverse side-effects is simply being swept under the carpet. The World Health Organization (WHO) has warned that failing to report results can lead to the use of “suboptimal or even harmful products”. The criteria of the scientific process are not fulfilled if “unhelpful” data is not released. It’s quite literally, pseudo-science: going through the motions until you get the results you want. On 12 January 2018 [NB: Should be 2019] Cathy O’Leary wrote an opinion piece on an important health issue in the West Australian newspaper. This reporter has no qualifications in health yet she was asked to write an opinion piece to influence the public on the use of vaccines in the population – a topic that results in political legislation and parental decisions that are critical to the health of our children. Fourteenth paragraph: "The simple, yet earth-shaking truth is: the United States and western Europe lack the capacity to mount investments in Africa that are conducive to the continent’s economic and social development. The same applies to Latin America, where China is the number one trade and investment partner. The “West’s” political economies are spent forces, incapable of either keeping up with China’s phenomenal domestic growth — which should be seen as Beijing’s re-assumption of its historical status as the center of the world economy — or of competing with China in what used to be called the Third World. The system is collapsing at its imperial center, the United States, which is incapable of investing in its own crumbling infrastructure." "There is a story that is commonly told in Britain that the colonisation of India - as horrible as it may have been - was not of any major economic benefit to Britain itself. 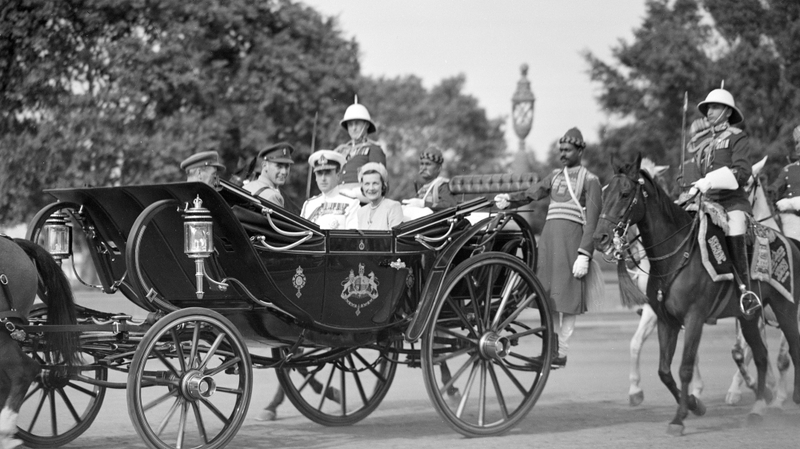 If anything, the administration of India was a cost to Britain. So the fact that the empire was sustained for so long - the story goes - was a gesture of Britain's benevolence. "New research by the renowned economist Utsa Patnaik - just published by Columbia University Press - deals a crushing blow to this narrative. Drawing on nearly two centuries of detailed data on tax and trade, Patnaik calculated that Britain drained a total of nearly $45 trillion from India during the period 1765 to 1938." Seventh paragraph: "The foundation of belief is such that it isn’t considered necessary to examine the science behind vaccines, the rationale for vaccinating, the steps or ingredients involved in creating a vaccine, how vaccination stimulates artificial immunity, or the ways in which vaccination affects the immune system as a whole. For medical doctors teaching prospective doctors in medical schools about vaccination, it has been enough to say that vaccines are necessary, safe and effective." "Only the other day Del Bigtree was commenting on HighWire that the United States had become country with news services that the populace could not take seriously like China or Iran: the same is undoubtedly true of the United Kingdom and particularly its increasingly embarrassing BBC news service. This was highlighted in a recent exchange of letters between Prof Chris Exley and BBC complaints director Colin Tregear, following a toe-curling Newsnight presentation about measles and vaccine safety. Exley complained about bias in the presentation and simply pointed out that the claim that vaccines were safe was unfounded. The manufacturers acknowledged significant levels of serious adverse effects, the scientific literature does not support safety, the problems are real. It is simply not telling the truth to say vaccines are safe."